My Objective is to use my life experiences, business expertise, and leadership skills to help address conditions that lead to violence, delinquency, drugs and gangs, while promoting education, personal pride, accomplishment and self-esteem. 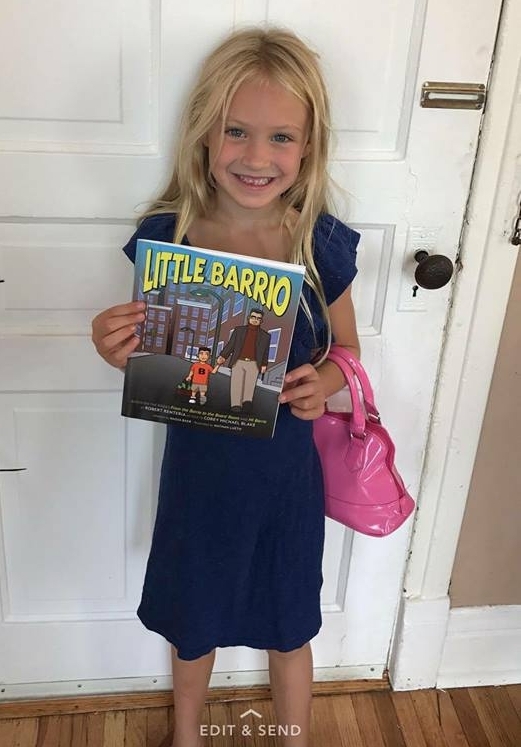 The books, From the Barrio to the Board Room, with the curriculum From the Barrio to the Classroom, Graphic novel, Mi Barrio and the Activity coloring book Little Barrio are demonstrating that dreams can be realized through education, determination, perseverance, and hard work. I endeavor to inspire and motivate others so they accept ownership of their education and acquire the social values to realize repeated success throughout their lives and contribute as effective mentors to others. 2019 Robert Renteria received an Honorary Doctorate Degree for his outstanding leadership in academics, social projects and contributions to the improvement of the humanity. In 2018 Mr. Renteria signed with Avenida Productions in Hollywood to produce “The Barrio” movie”. In 2017 Mr. Robert Renteria was appointed by the WBC – World Boxing Council as Chairman of the Youth Committee representing kids (boys & girls) in 165 countries. In 2017 Robert Renteria was voted one of the 50 Most Influential Latinos in Chicago. In 2017 Mr. Renteria was honored with The Maestro Award for Community Service on a National Level by Latino Leaders Magazine. In 2015 Mr. Renteria was selected as one of Chicago’s Who’s Who Hispanic Leaders. In 2013 Mr. Renteria was the first Latino in the world to receive two National Dr. Martin Luther King Jr. Awards for his work as a civil rights leader and a Latino voice in educational reform. In 2012 Mr. Renteria’s graphic novel “Mi Barrio” was voted the best comic book in Latin America, Spain and the United States of America for addressing youth issues. In 2011 Robert Renteria was again the first Latino in the world to ever receive an International Outstanding Humanitarian Award for promoting global peace and education. In 2010, Mr. Renteria was voted Chicago’s Latino Business Professional of the Year by over 45,000 Chicago Latino business professionals. The results and impact from these books and program are nothing less than incredible, a miracle in real time, a solution that is serving as cure to the disease of gangs and violence that has infected our cities and countries around the world. These tools are being used by kids and adults of all ages, races, religions and economic back-grounds. A universal message of hope and dreams showing others that there is always a way to overcome seemingly impossible obstacles. The Barrio books and program is said to be by several high level educators, that Barrio could be a solution and responsible for helping to change the landscape for our youth across America and all around the world. The goal for Mr. Robert Renteria is to exchange the books for all the guns, knives, drugs, needles, booze and even the cigarettes. To teach our kids and adults that the real secretes to success are hard work, determination and of course education. means equal pay and is a great equalizer for any race. The school and faith based curriculums are Donated FREE (at no cost) to all Middle Schools, High Schools, After School Programs, Colleges, Universities, Social Services, Youth Prisons, Jails, Prisons, Domestic Violence Agencies, Churches, Corporations and ALL Youth Based Organizations. We are proud to say the Robert’s books “From the Barrio to the Board Room, Mi Barrio and Little Barrio” are being taught in classrooms across America and in 25 other countries around the world!